This is a round Ward’s Vitovim Bread porcelain sign. This particular Ward’s Vitovim Bread sign is red, white, and blue with a yellow border. 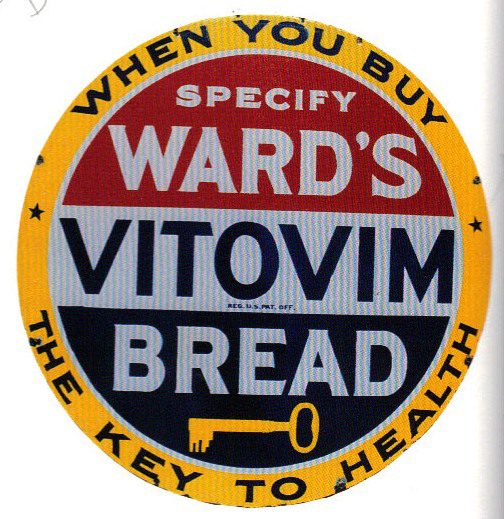 It reads, “When You Buy, Specify Ward’s Vitovim Bread, The Key To Health” and features a yellow key at the bottom of the sign.